Chances are if you’re reading this, and you’ve ever had a job, you’ve experienced stress in the workplace. In fact, numerous studies have revealed stress to be the single most detrimental health issue in the present workforce. The American Institute of Stress suggests that your actual job is irrelevant. However, the nature of what they call the person-environment fit dictates your level of perceived control, and thus, your stress level. So, just how dangerous is that late-night cramming for a presentation? How is the way in which you cope with the demands of an upcoming deadline affecting your health? Or, to keep the attention of those reading from a corner office, how is it affecting your productivity? It seems everyone is talking about ways to reduce stress. From the high-powered executives positing that stress is simply an inevitability of corporate America to be used as a motivator, to your yoga teacher, repeating mantras of mindfulness as she manhandles you into the proper placement of downward-facing dog. Here’s what we know: you’re going to be stressed at work. What you do with that fact is up to you, but in the absence of a worldwide mid-day happy hour, here is some pertinent information that just might help. Personality: Simply put, different things will cause stress in different people. Perhaps you perform well under pressure. Provided you feel you are in control, juggling 2 or 3 projects at once is where you thrive. Or, conceivably, you are the exact opposite. Environment: Whether you get along with fellow employees, feel respected and appreciated in the workplace; your level of social comfort. Low job security: Are you consistently worried about your longevity in your given position? The magnitude of the demands being made: From the more obvious end of the spectrum, that you are simply being overworked or overexerting yourself to meet demands…to the more nuanced factors. An internal client can be demanding. Or, you’re being asked to engage with subject matter that does not align with your personal beliefs, for instance. The employee’s perceived control over a situation: not to be confused with actual level of control over a situation. Feeling like one is in control alleviates stress. Role ambiguity: Is it clear to you what falls under your responsibility and what does not? The employee’s decision-making liberty and access to resources/assistance: What are you able to do? Do you have people available to you that can help? Is it within your authorization to make decisions that affect real change in any given situation? 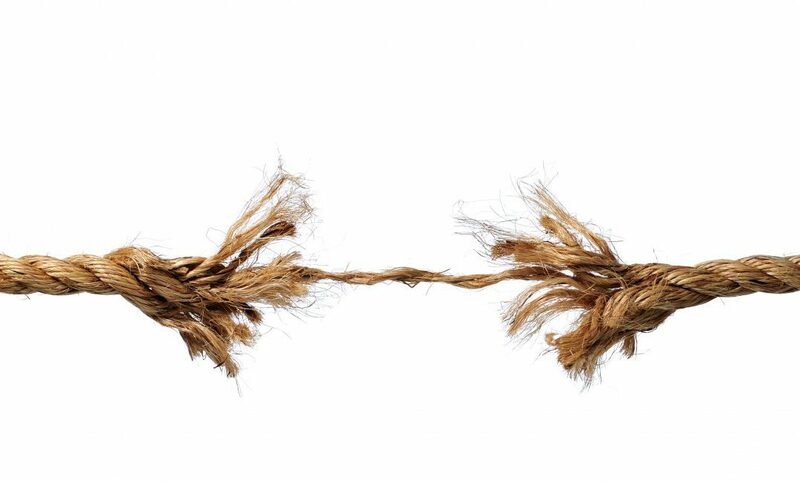 The CDC approximates that about one-third of workers report high levels of stress at work. It’s safe to say Americans are working harder, and that profitable productivity is taking a toll. So, what can you do? And, more importantly (if we’ve maintained the attention of our aforementioned, corner office productivity police), how much does stress really matter? First, how much of an effect is stress really having? In short, a lot. A 2000 Integra survey reported that 65% of workers said workplace stress had caused difficulties, 10% of which claiming these difficulties had major effects. 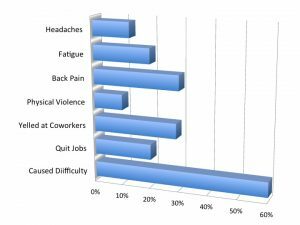 10% claimed to work in a place where physical violence has occurred because of job stress. 29% had yelled at coworkers. Almost 20% admitting to having quit previous jobs due to stress. A study by the European Commission found that 30% of workers suffered from back pain, 20% felt fatigued, 13% reported headaches. A 2013 Towers Watson survey identified stress as the number one workforce health issue, above both physical inactivity and obesity. The CDC suggests that the research points to stress as the major cause of turnover in organizations. Stress is a big deal. The second approach is more preventative, less tertiary, and physicians suggest could have a larger effect on public health. Address the root causes of job stress. Create, to the extent that you are able, an environment that fosters positive attitudes and motivated productivity. Furthermore, and applicable to every position, make wise choices about with whom you do business. Do all that you can to align yourself with supportive, responsible, reasonable colleagues, clients, and business acquaintances. Represent and market your company in a way that reflects these goals. A combination of these organizational changes and individual stress management is a recipe for success. Deep breath. We’re in this together.